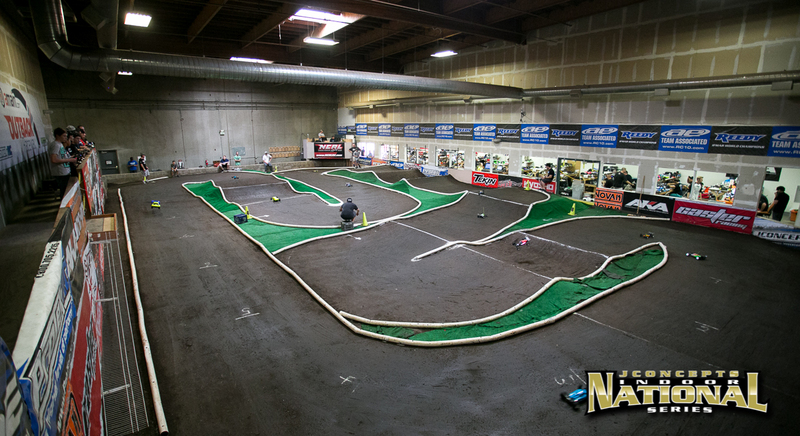 The 2015 JConcepts Summer Indoor Nationals series has once again made its way to the world famous Outback Raceway with racers dialing their cars during the Friday controlled practice session here in Chico, California. With entries reaching the 260 range, the battle for Summer Indoor National Championship will be a battle to remember. With this race weekend coinciding with E-Buggy Nats in Pennsylvania, a few of the sports’ superstars are unfortunately not in attendance, however this opens the doors for a new champion hungry to make a name for themselves. Making the trip are some of AE’s top young guns like round 2 race winner Michael Schoettler, Tommy Hinz, Spencer Rivkin, Nathan Bernal, and Eric Albano. Also making their way from the Pacific Northwest is Kyosho/JConcepts’ Tanner Day and Ryan Matesa. 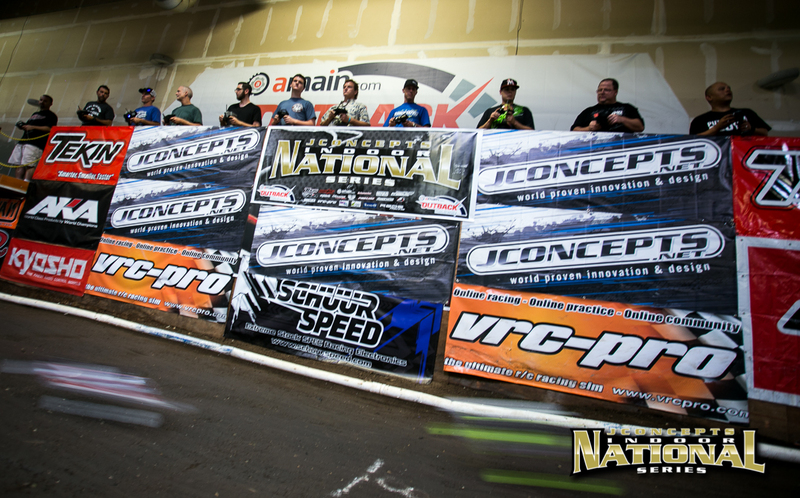 With ‘local’ power also in full force, the 2015 Chico Summer Nationals is destined to be a special race in the JConcepts calendar. Typically, Outback tracks are designed by track master and very experienced Kevin Jelich, but this year’s layout has a new track sculptor at the helm. With Jelich assisting, Ken Johns and his crew put in a terrific, feature fun layout. The flow is certainly fast and engaging as fast laps are down in the low 14’s. Jumps and turns are seamlessly connected and the feature jump being a massive triple that lands into an ever sloping backside, joined by a very, very tight turn. Big rewards will be given to those who perfectly execute this jump with a few hefty tenths and will definitely be a place to pass. Seeding round will be held at 5pm tonight with racers given 3 minutes to put in their 3 consecutive best laps to sort for tomorrow’s qualifying. Tags: 1/10, 2015, 2wdmod, amain, clay, friday, indoor, ins, jconcepts, kyosho, national, offroad, outback, race write up, raceway, seeding, series, summer, team associated. Bookmark the permalink.